Being an expert of ODOO Since 11+ years, we have been releasing some useful tips and news around Odoo every month. Here we go for March 2018. Please note down the ODOO tips coming out of Media around ODOO especially Twitter and Facebook. Let's thank to them. 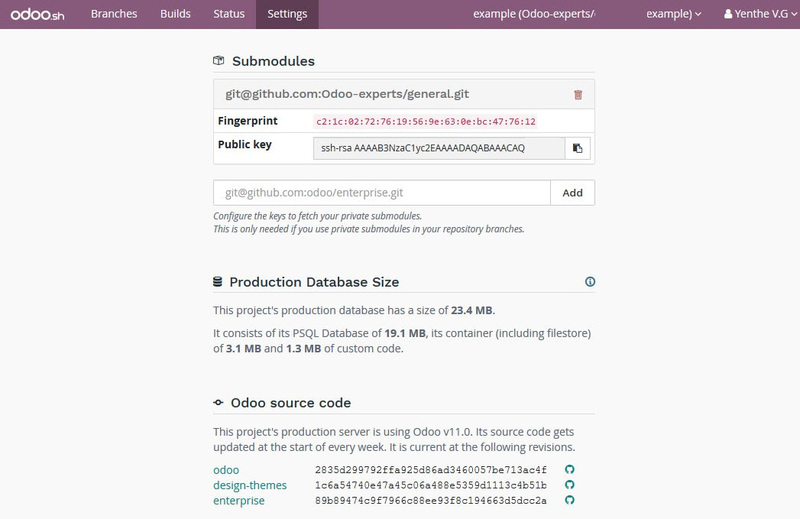 Tip: http://Odoo.sh now shows the database size and at which revision your #Odoo builds are! #Odoo tip: in 11.0 button icons use Font Awesome. The icon name should be the corresponding CSS class, such as icon="fa-question". #Odoo 11 tip: the `report`module was merged into `web`. This means that reports should now use `web.external_layout` instead of `report.external_layout`. Serpent Consulting Services Pvt. Ltd. is providing various ODOO services in more than 168 countries. Our services includes Training, Support, Migration, Implementation, Development and offshore. We are a team of 86+ full time OpenERP/ODOO experts including 3 techno functional experts who were the part of core OpenERP framework development and having 11+ years of experience in Odoo/OpenERP. We have conducted 84+ local and international functional and technical training on OpenERP with 96% satisfaction ratio.